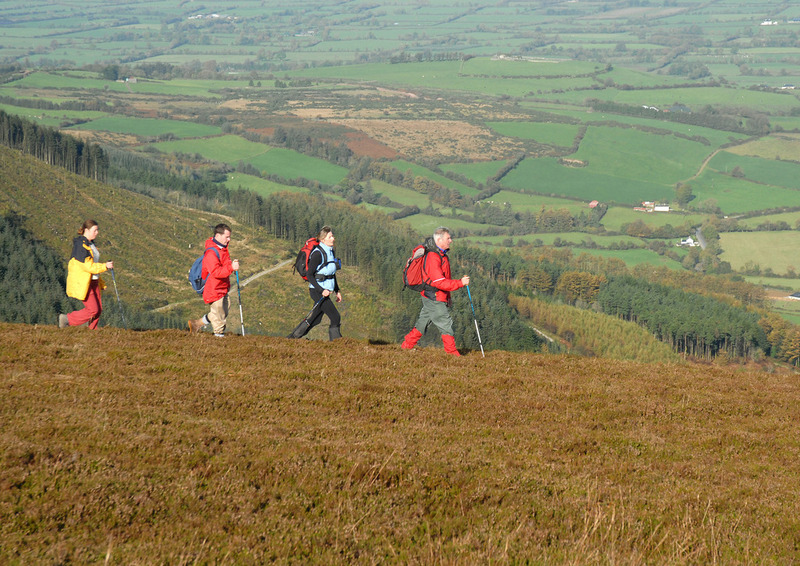 The Castlebar International Four Days' Walks Festival will take place from 4th July to 7th July 2019. It is Ireland's oldest festival, most celebrated and a very well known event since 1967. It attracts walkers from all over the world and it is an ideal opportunity for them to meet, talk, walk and discover bogs, rivers, mountains and unspoilt corners of the West of Ireland. All of the road walks are through the countryside around Castlebar and each day 10km, 20km and 40km road walks are organised. Each day has its own colour painted on arrows and along the way and peculiarity. On Thursday the two walks (10km and 20km) in pink are dominated by the historical events of 1798 across the fields where the most famous battle, The Race of Castlebar, took place. On Friday the two walks (10km and 20km) will be in yellow and the theme of them will be St Patrick and Croagh Patrick, The Holy Mountain of Irish people. On Saturday two routes (10km and 20km) in green will wind toward Turlough and Tucker’s Lake where the remains of a crannog can be seen when water level is low. The orange Sunday will offer walkers two walks (10km and 20km) across Derrynadivva (Oak wood of the cow). The theme is the bog, its habitat, flora and fauna. Walks HQ for 2019 is The TF Royal Hotel for a second year in a row, all walks start and finish there. The Ramble is a unique feature of the festival. Each Ramble is approximately 5 hours in duration and takes place in the countryside around Castlebar. It commands spectacular views of County Mayo across bog and heather moorland and is the dream of all walkers. For 2019 Rambles are Letterkeen Loop Walk and Keenagh Walk, and, new this year, the Slí Ghráinne Mhaol on Achill Island. There will be control points and drinks provided on each walk.